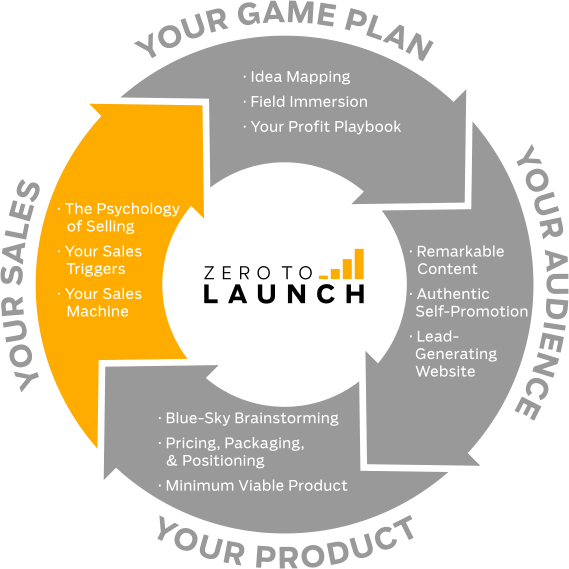 What will I learn in Zero to Launch? 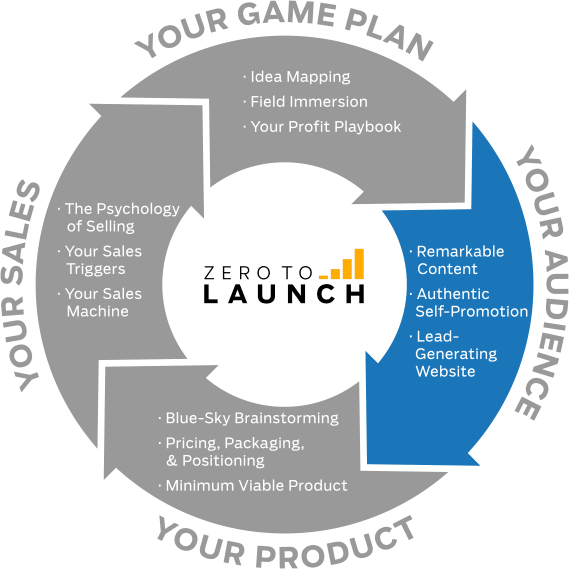 In Zero to Launch, we'll show you the step-by-step formula that takes you from "no idea" to online profit. 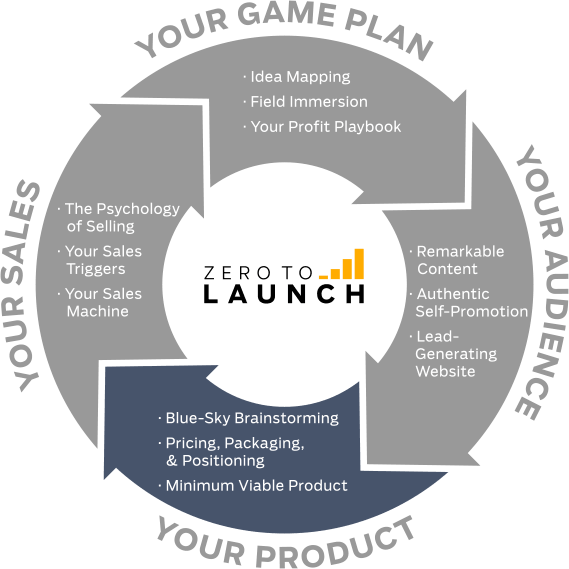 It's the only online business course proven over 10 years, in 50 industries, with 30,000+ paying customers. How to quickly build an MVP (Minimum Viable Product) your readers will love. Plus, learn how one of my students created his first product — and got his first sale — in just a few days. Plus, you'll also get access to the Zero to Launch Vaults. 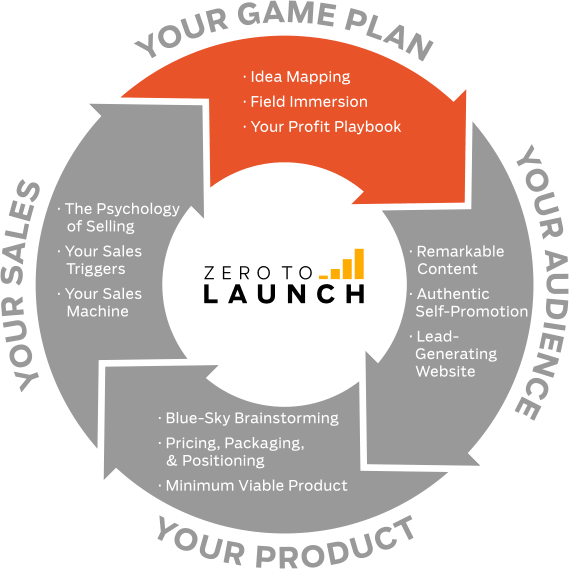 The 12-step Zero to Launch roadmap to launching your online business — a bird’s-eye view of the exact process I used to grow my business from 0 to 7 figures. Real examples of surveys you can use to collect feedback from buyers & non-buyers to improve your product and charge what you're worth.